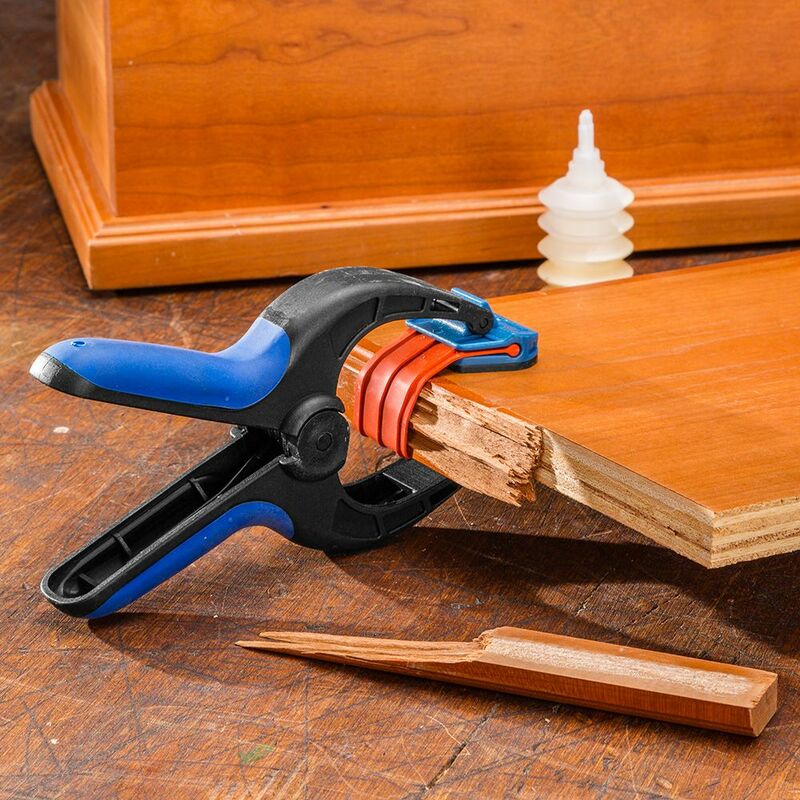 You'll find it easier than ever to clamp edge moldings of almost any contour with our clever new Bandy Clamp™ edge clamps. 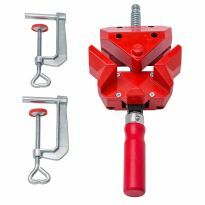 The Bandy Clamp combines the easy one-handed operation of a spring clamp with the even pressure and no-mar qualities of a super-tough rubber band. 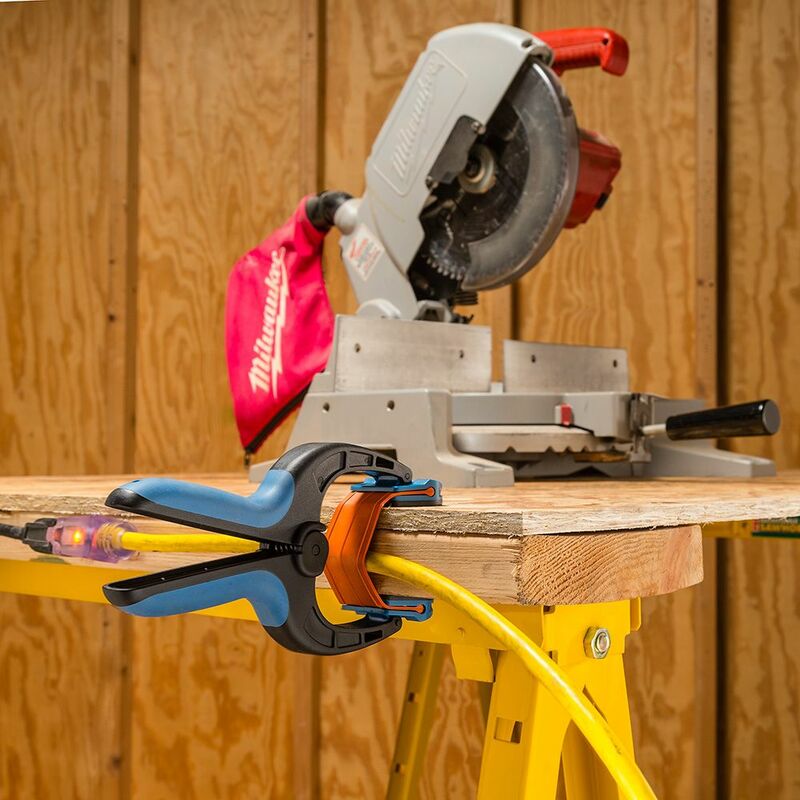 Just open the clamp and stretch the band over your edging material—the deeper you set it, the tighter the pressure. 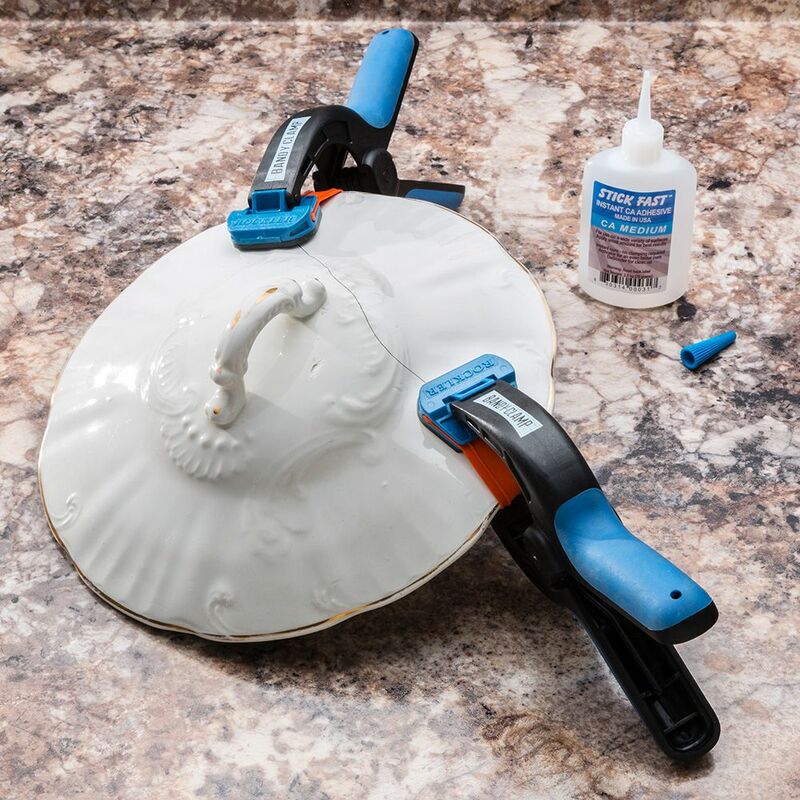 Once the Bandy Clamp is in place, its jumbo ultra-grippy clamp pads simply will not slip, allowing all the clamping force to be transferred into the material. Since every contact point is a no-mar surface. the clamp is ideal for delicate moldings, even from soft materials like white pine. 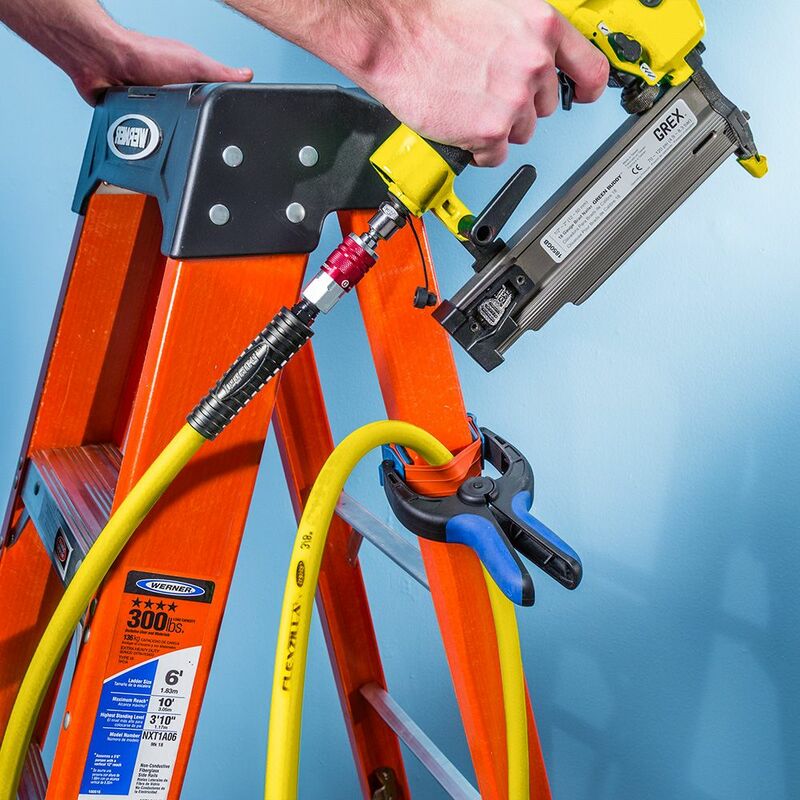 What's more, the clamp works great for keeping power cables, extension cords and pneumatic lines out of your way as you work. You'll find countless uses for it around the house as well as the shop! Comes in real handy for doing edge work. Holds tight. I would recommend this to anybody. I am ordering some more. 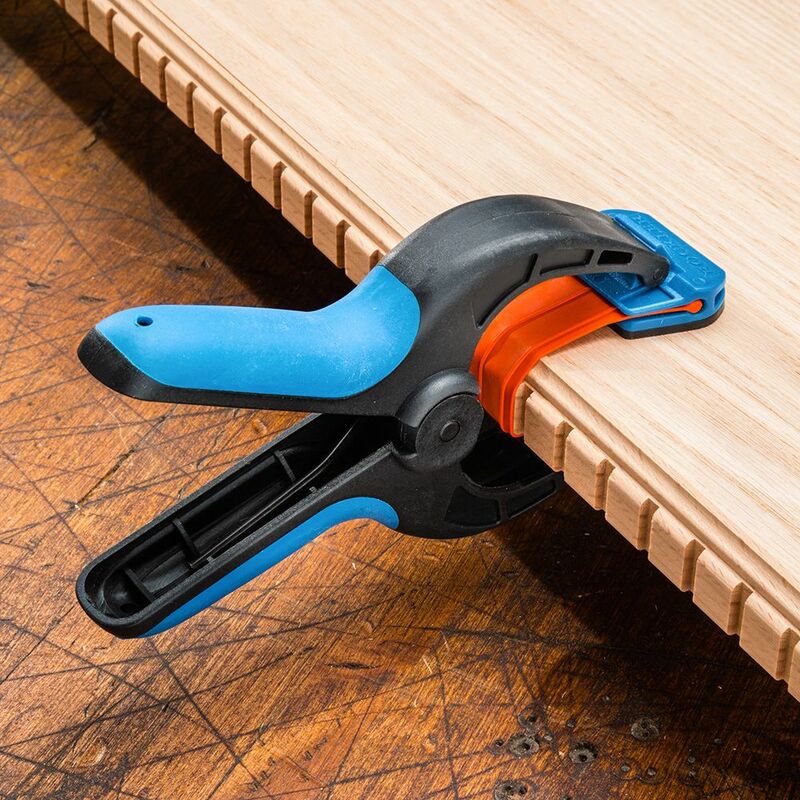 These clamps are indispensable for adding trim to cover plywood edges. Especially where the corners are mitered. I used the clamps to hold the trim while the corners were fitted, and the opposite end marked to be mitered. 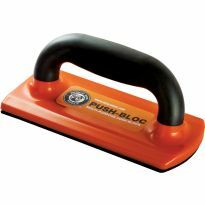 Great addition to your clamping arsenal; efficient; easy to use. I have 10 of the large clamps. I do a lot of 1 1/2 HW facing. Made my life easier and improved the accuracy of my edging resulting in less after clamp cleanup. These are the best clamps I have ever used. I need to buy more! Love these clamps, only complaint was not buying more. They Work Great as long as you use them within their design parameters. These are some nice clamps even if they didn't have the bandy feature. The feel solid and strong. Very handy to use in various situations around the workshop. When my wife saw these at our local Rockler store she recognized how versatile they would be. I not only use them for a multitude of clamping situations in my shop she has found a number of useful ways around the house to utilize them. Small size just big enough to put 1/8" band on 3/4" material. 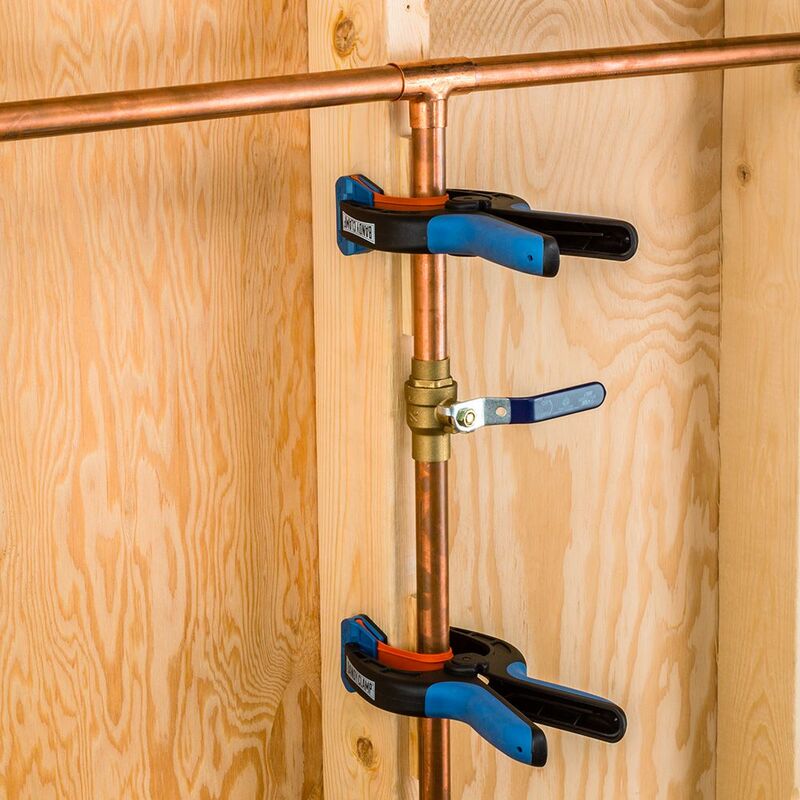 Holds well, but won't squeeze like a regular screw clamp, so use a little less glue, and tap well to set into place before using the bandy clamp to hold in place to set. 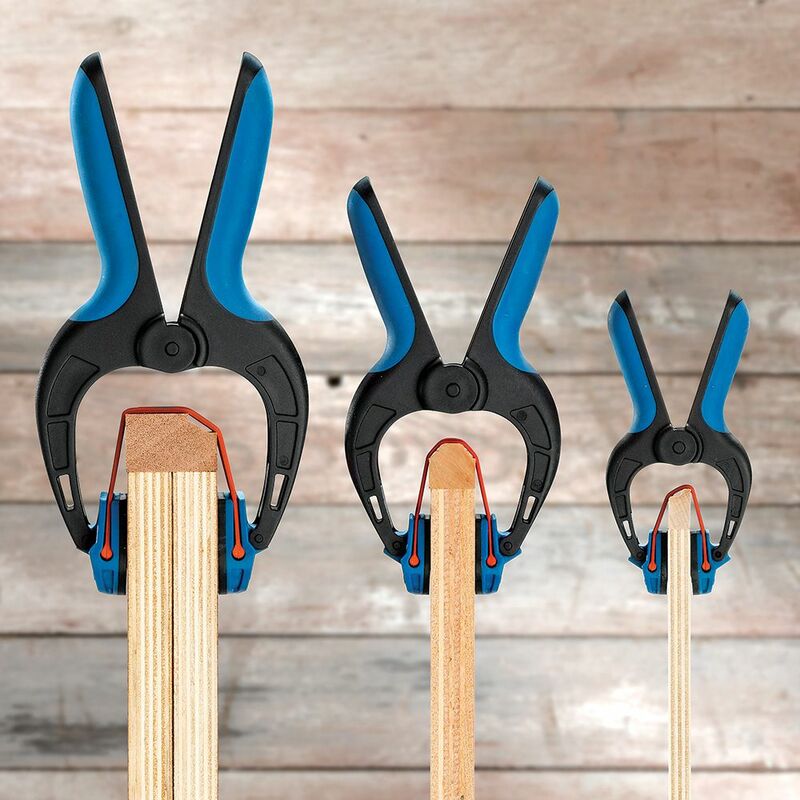 Great clamps and the band is perfect for holding edging or face frames in place. Surprised by the strength of spring and effectiveness in holding edge trim in place. Definitely recommend. Next to buy are the large size, good buy. Don't know why it took me this long to get these. I think they're great. Now I think of them as essential. The Rockler Bandy Clamps appear to be well built and have nice spring tension. It appears that they will work great on edge banding. I haven’t had the opportunity to use them yet but will add additional information if necessary. This clamp works very well when holding Rush tight to a chair when weaving. In the past I have leaned a 2x4 against the edge for hours. Not now. These are great. Work well, like having an extra hand. Even without the bands these would quality clamps. The bands are just a bonus and really do come in handy. I would recommend them. Love these clamps. Should have had these years ago. Got these on sale during a recent visit to Rockler. Love em and plan on buying more the next time I'm there. The rubber pads are nice when you need to clamp something without leaving any marks. Do well in all needed areas. Used for many different aspects. Using these clamps to hold down each strip of the cedar strip canoe I am building. 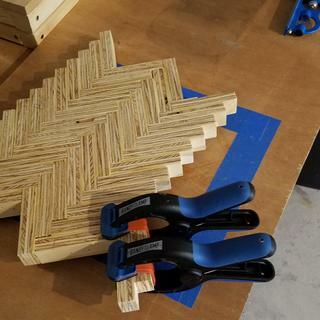 I got the medium sized clamp and I am able to put downward pressure on each strip as it is glued up. Excellent product for glueing those hard to glue facings on the end of your boards or plywood. Love it! If you ever have to put a strip of wood on the edge of plywood / melamine, these are fast and firm. Can be used with / without nails between. Profession production work or hobby, these deserve a place in every shop. Jaws can grip like regular spring clamps. Or you can push them down to squeeze your shelf facing tight against the shelf. The heavy band automatically centers the facing material and holds it tight until the glue sets. 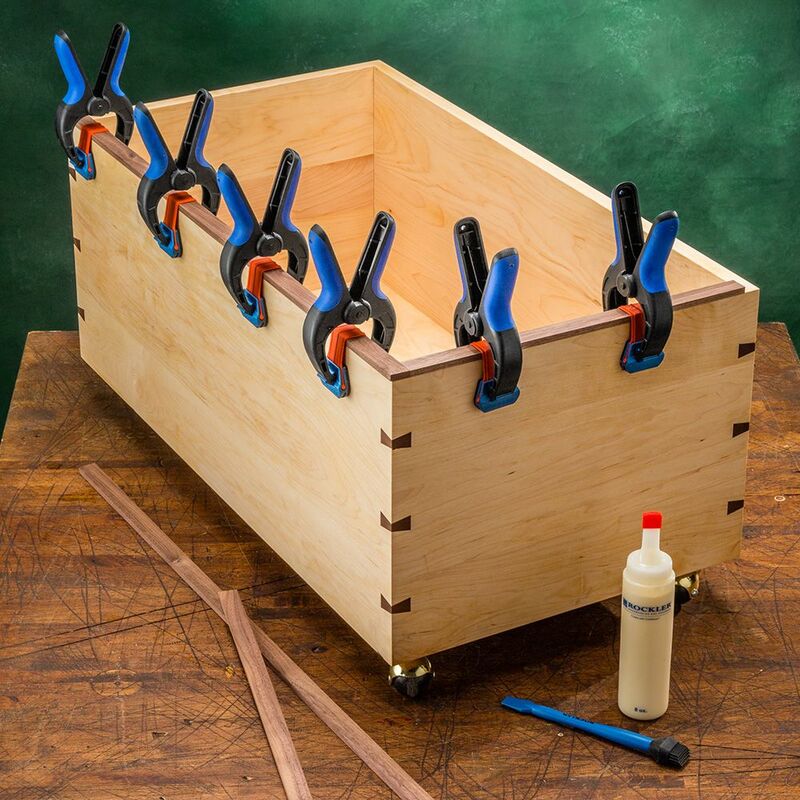 Like 2 or 3 clamps in one. A great well designed product. 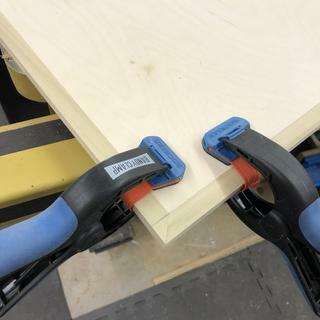 I would highly recommend these clamps. Just be sure you have enough clamps especially when clamping thin veneer stock. 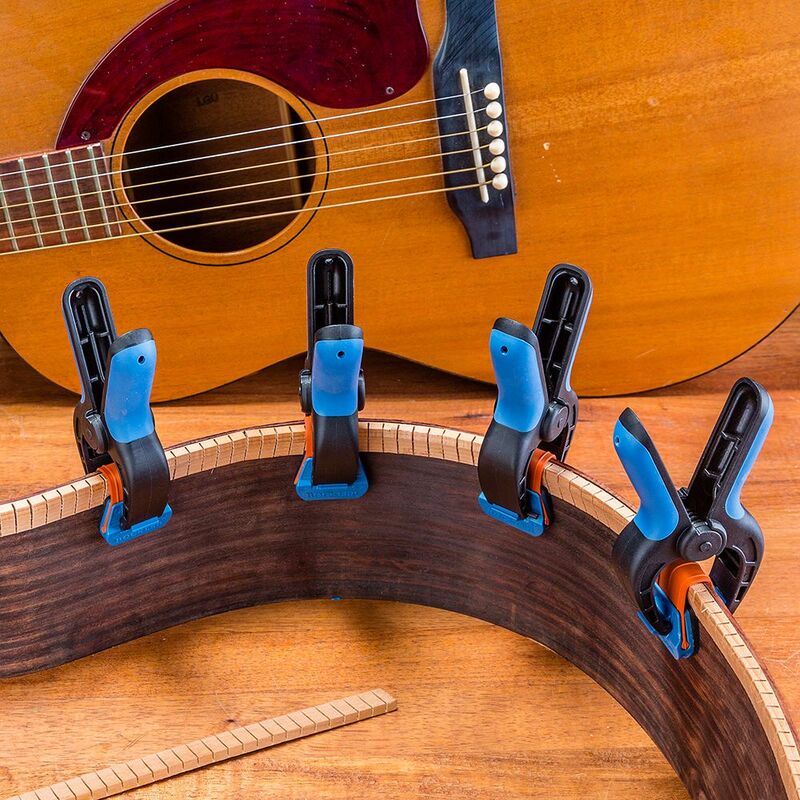 If the clamps are too far apart you may get a buckle between clamps. These clamps are some of the most versatile clamps I have! 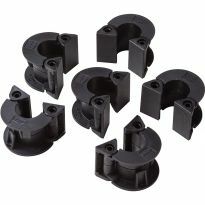 I use them for a variety of clamping needs with my woodworking projects, as well as other non-woodworking clamping needs. Worked very well to clamp broken parts of the drawers I was restoring (Sideboard from the 1800's). I use them quite a bit and would recommend them to everyone. 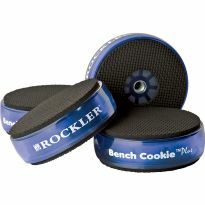 Another great product from Rockler! 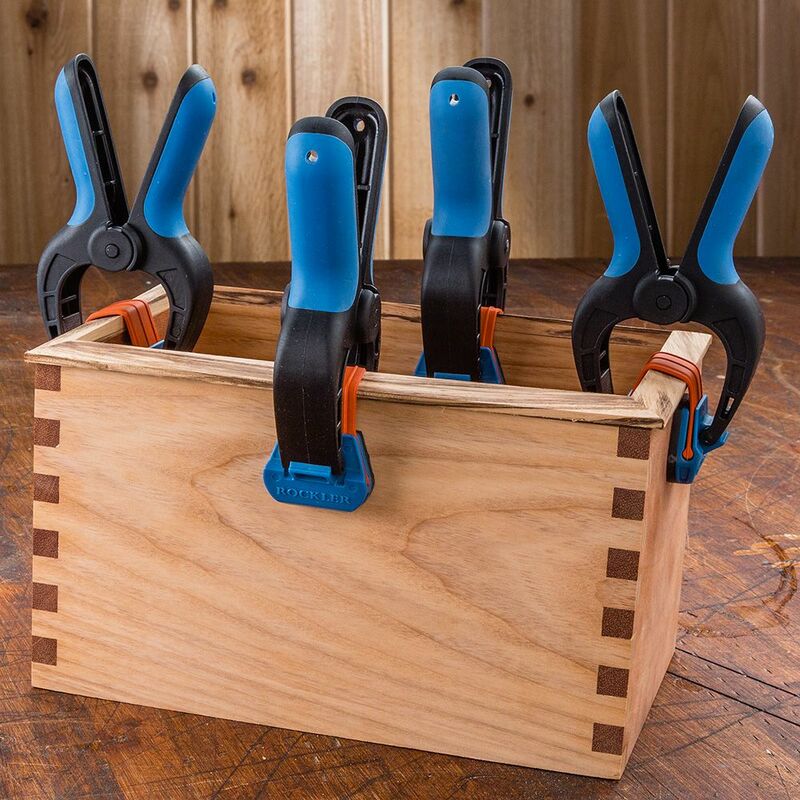 These are just the handiest clamps ever. The more I use them the more uses I discover. I have a dozen of them. Get some. You will not regret it. I purchased 8 of them and use them all the time. They fill a need quickly and easily. Exactly what I was looking for. Highly recommend them. Great tool at a good price, will be getting more. I find the non-sale price of these clamps to be simply outrageous! 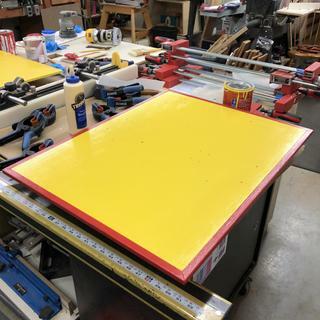 But when they went on sale, I quickly purchased several dozen for use in attaching shop-made edge banding, face frames, etc. to sheet goods. Now that I have them... yes, they are still fantastically overpriced- when not on sale. Cannot live without it. It is really hand when on fixing edges. Because of it's design. The bands I feel will be a great help with a project I'm doing. Edge banding on shelves inside a cabinet left me no other options for clamping. 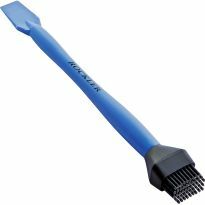 Try them out and see how the work on edging. I do a lot of adjustable shelves, looks handy for applying edges. Edge banding the cut edge of cabinet panels. 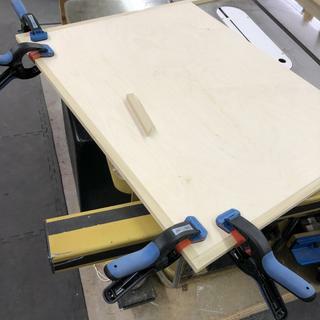 Adding a different size to clamps. A thoughtful way to hold on face edging. I have an upcoming project that needs it. on sale, do a lot of edge banding. On sale. Occasionally I do apply a facia to items I build. I keep running into a clamp issue where these clamps would solve that problem and I have wanted these for a while. 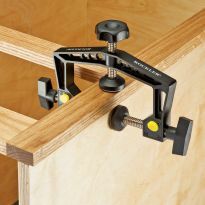 I always wanted some of these clamps and they were on sale. 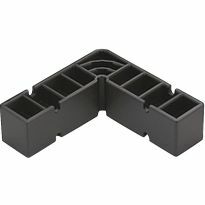 This is a great product for adding edge decor. 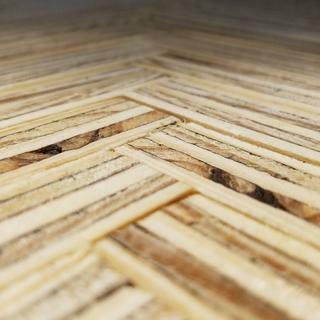 Get a sizable edge banding job coming up and these look perfect for the glue up! They look like they have lots of uses. Always wanted to try and they were on sale. can I buy spare bands? Are these clamps made in the USA? I have six of these clamps and they worked real good until today. The pins that hold the rubber band started to fall out. Can I get some of these pins? BEST ANSWER: I had the same issue and was really surprised that they had overlooked this problem. A small dot of gap filling super glue on the end of each pin solved the problem an I haven't had a problem since. BEST ANSWER: Clamping force spreads at a 45 degree angle from the band toward the substrate. Ideally you want the spread of force to overlap each other but this results in a lot of clamps on the edge banding. I like to have them every 3" or so. The thicker the edge banding the further apart the clamps can be. If the banding is pretty straight I would suggest one every 16-18". I think they work great and they are pretty strong. I wish I had more excuses to use them. 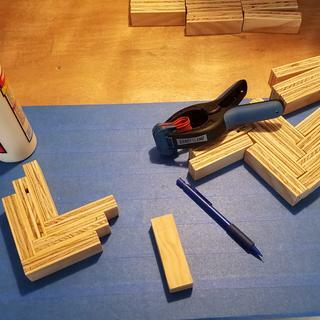 Use the same number of clamps you would use if you were using masking tape to affix the banding. BEST ANSWER: Rockler offers a 90 day return policy. What if clamp breaks? Any return policy regarding this? Which material are pads made of? BEST ANSWER: Black Extra -large, 1.00 x2.00, rubber pads and won't mar your work. 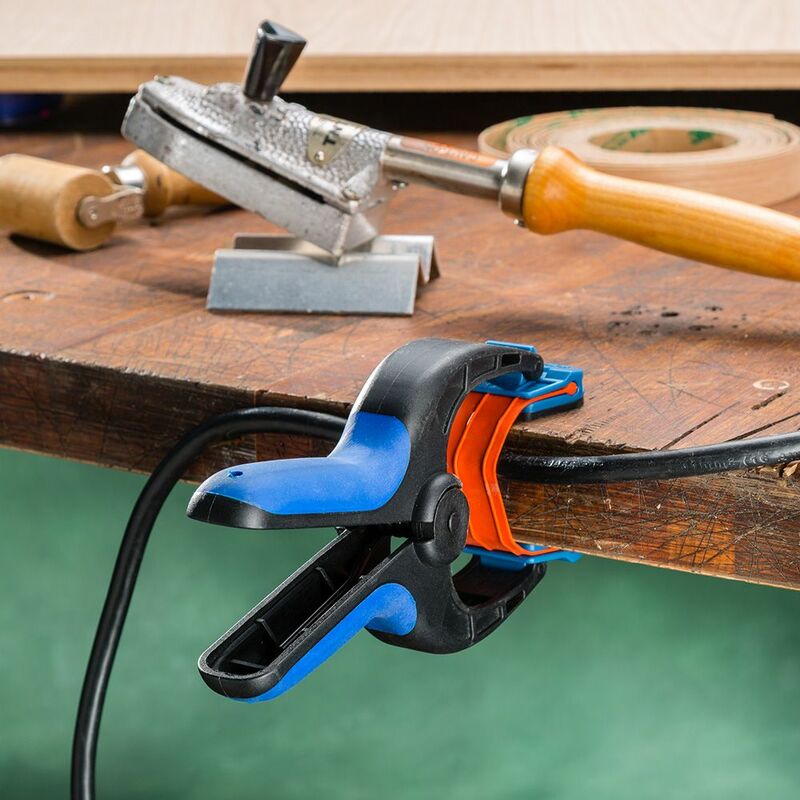 Strong, durable rubber band provides even clamping pressure on any edge profile. Not entirely sure, but seems like some kind of poly with a hard rubber overlay. A strong but stretchy rubber substance. 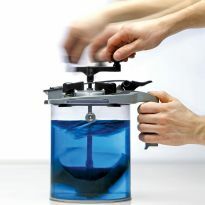 what are the overall dimensions of the medium clamp?? The jaws open to 3 inches wide, the distance from the jaw tips to the band is 2 inches, from clamp to handle they measure 7 inches long. Best use for this size clamp is holding trip to 3/4” material. How long will Rockler warrant them for replacement if they break? 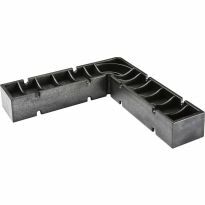 Which size is commonly used for 3/4" edging? BEST ANSWER: You can probably get by with the small size, but I'd use medium to apply a broader band of pressure (unless the clamping surface isn't deep enough to allow you to stretch the medium's band good and tight. 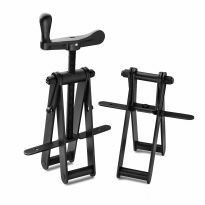 What size Bandy Clamp should I get, small, medium or large? I have a 1" thick board that I'm gluing 3/4" edging to. BEST ANSWER: Order large. I ordered all sizes and used them all.